City and state government agencies are often exempt from personal injury claims, but the legislature can make exceptions and award damages. Florida’s state legislators have introduced 18 claims bills for the 2018 legislative session. A claims bill is, as the name suggests, a legislative device for securing compensation for injuries suffered because a government agency or official was negligent or a government facility was left in an unsafe condition. The largest of the 18 pending claims bills involves the case of Ronaldo Companioni Jr., who suffered crippling injuries after a city water truck hit him as he rode his motorcycle. Senator Bill Galvano (R – Bradenton) seeks $17.8 million in compensation for injuries Mr. Companioni suffered in 1999. He only received $100,000 in compensation since his crippling injuries. This is clearly not fair and the law must change to adequately protect the injured. 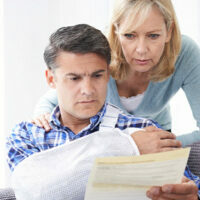 If you have been injured on government property or by a government employee you may be entitled to pursue a claim. However, it is important to find a skilled lawyer to handle any claim against a government entity because city, state, and federal agencies can be exempt from claims because of sovereign immunity. Shorter Time Limits – State law places a limit on the amount of time you have to file a lawsuit. You will have less time to file suit against a government agency. Notice Requirements – In Florida you must submit a legal “Notice of Claim” before attempting to receive compensation in a lawsuit. Each state requires a particular format to be followed. You must submit a Notice in that format or the lawsuit will be dismissed. Plaintiffs must wait a set amount of time after filing that Notice of Claim before filing a suit. Partial Immunity – Florida’s state government and its municipalities enjoy greater protection from lawsuits that private companies or individuals. This is the most important thing to know before attempting to file a suit in Tampa against a local government agency. That last difference is the most important one for you if you were injured by a government worker or on government property. The principle of “sovereign immunity” is universal, but what it means varies from state to state. The government is generally immune to being sued due to planning decisions that it made. An outdoor festival offers an example. If you are injured in a fall on muddy ground at a fair, the county might be immune to a lawsuit. On the other hand, if you suffered the same injuries because a city worker hit you with an ATV in the parking lot, you probably have grounds for a lawsuit. Governments cannot normally be sued if their employees exercised reasonable discretion at work. In other words, if the employee exercised due care in performing their work, you probably cannot sue the relevant agency for personal injuries. However, in many other ways the same rules and principles of premises liability law, for example, still apply. If you think you have a personal injury case against an area business or a government agency or employee, contact our attorneys at the Matassini Law Firm, P.A. as soon as possible. Memories fade, witnesses become impossible to contact, and records do get lost or destroyed. The other party’s insurance company and all government agencies will have legal counsel waiting to serve their interests. Our Tampa legal team is eager to assist you today.